Hi there, my darlings! This has been a very special week for yours truly! After 16 years away from home, I have finally been able to celebrate Durga Puja with my family! YAY! What's Durga Puja, you ask? Well, Durga Puja is the biggest festival for Bengali Hindus all year. Think the equivalent of Christmas. All year long, Bengalis save up and anticipate the coming of the Goddess Durga to her hometown of Calcutta. Although a religious holiday, the 5 day week of fun is completely secular! People from all walks of life and all religions participate in the festvities--buying and wearing their finest attire, going out to eat and gawk at the elaborate pandals (specially constructed pavilions that pop up all over the city in honor of the Goddess, where idols are beautifully displayed) and generally spending time with their families and closest friend. It's a time of excess and excitement and emotion--a time to put all your daily worries away and just bask in the happiness that the coming of the Goddess promises. Despite the jaw-dropping crowds, the heat and the traffic, I have had a blast! And almost as if it was fate, a wonderfully luxurious box of goodies simultaneously landed up just before the holidays at my US forwarding address. Now, this particular box is a rare event and one I anticipate with almost bated breath--the much-coveted RAN Bonus Boc! I've been a member of the Rakuten Affiliate Network (RAN) for a couple of years now and every once in awhile, they send out a bonus box and some of the best boxes are from Bloomingdale's. I can't think of a better time to receive and share mine than right now! Take a look to see what was in this highly anticipated box and what I'm most excited to try! Trish McEvoy's gentle, one-step cleansing water instantly removes all traces of even the most long-wear makeup formulations from the eyes, face and lips. The water-light, skin-conditioning formula leaves skin perfectly clean, balanced and ready for skincare. Can you believe I still haven't tried a micellar water?! I can't either! That's why it's safe to say I'm particularly excited to try this cleansing water since it's dermatologist tested and gentle on sensitive skin, like mine! 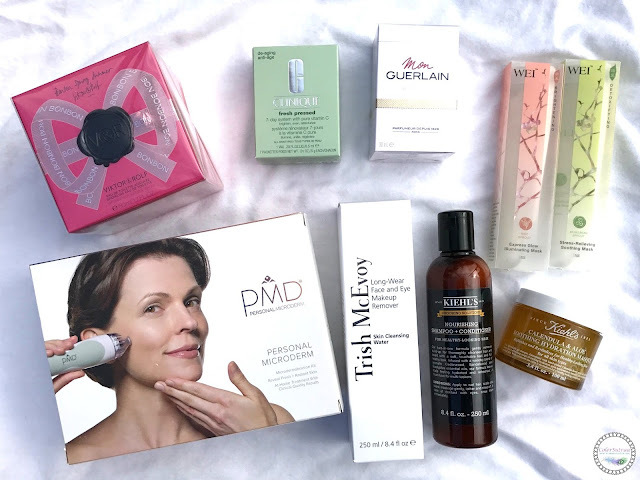 Be fresh, be radiant and discover your glow with PMD. The Personal Microderm is a revolutionary at-home skincare tool that provides the same brilliant results as professional, in-office microdermabrasion treatments. By combining the power of Patented Spinning Disc Technology and Perfectly Calibrated Vacuum Suction, the Personal Microderm works to remove the dead, dull skin cell barrier, increase blood flow and stimulate the body's natural production of collagen and elastin. - Patented Spinning Disc Technology for exfoliation. - Perfectly Calibrated Vacuum Suction to increase stimulation. - Skin care products that follow will penetrate better (20x deeper penetration). 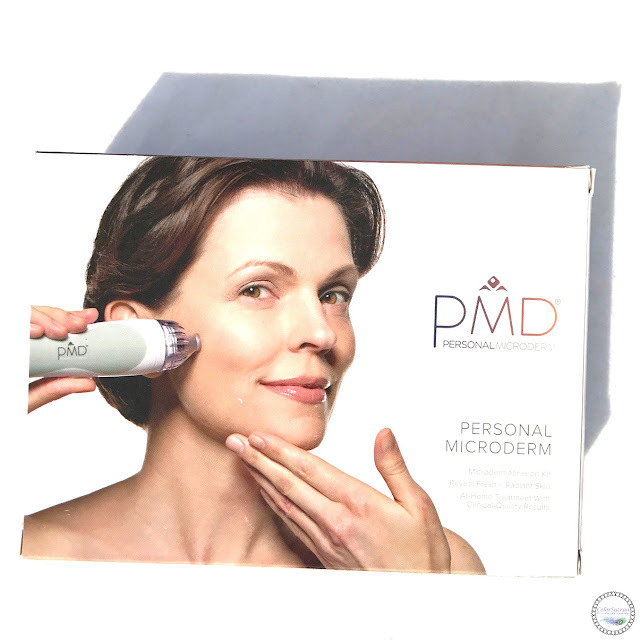 I have and love the PMD Microderm, a unique little device that allows you to indulge in safe, virtually pain-free microdermabrasion sessions in the comfort of your own home at the fraction of the cost of a salon treatment! Find out more about this handy little device through my review HERE. 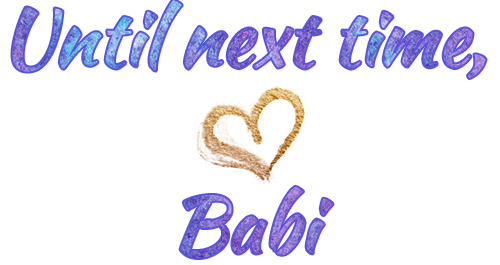 I'll be passing this one along to my sister since I love mine so much! Sisters gotta share, right?! 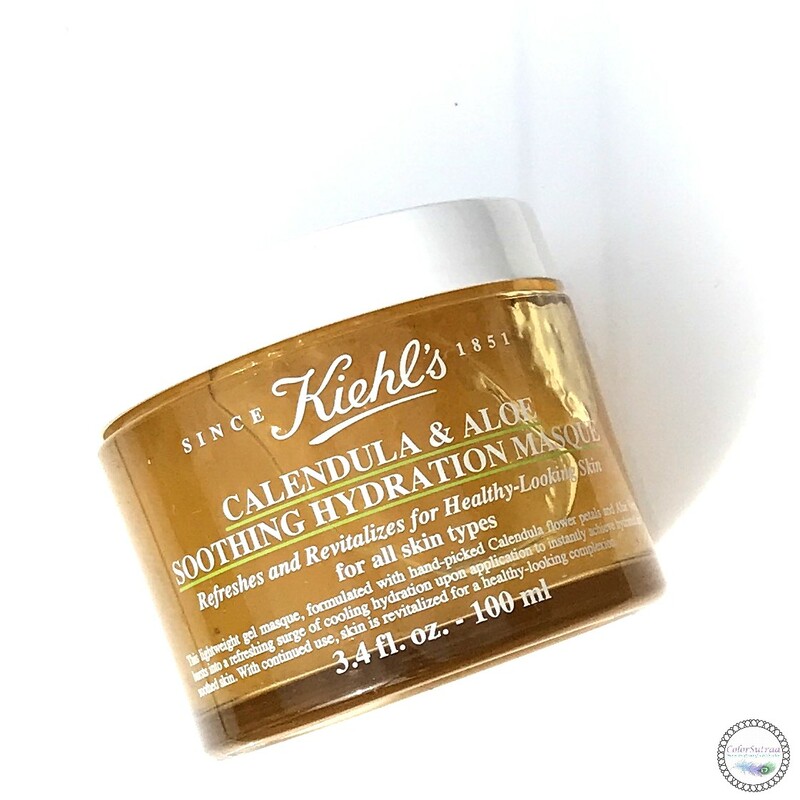 Instant cooling sensation relieves skin craving extra attention with calming, yet refreshing hydration. Formulated with handpicked Calendula flower petals and Aloe Vera this revitalizing gel masque helps to soothe and visibly reduce signs of distress such as dry and unbalanced skin by achieving a hydrated, healthy looking complexion. Skin instantly looks and feels refreshed for an exceptional pick-me-up. I absolutely LOVE anything with aloe in it! My skin tends to randomly erupt with annoying breakouts at the merest exposure to heat or pollution and aloe has proved time and again to soothe and calm the worst of it. The gel formula of this mask is particularly appealing since Fall temperatures seem nowhere in sight! As a plant rises from its seed, it is a moment of pure power releasing all its protected and stored energy to ultimately bloom and flower. 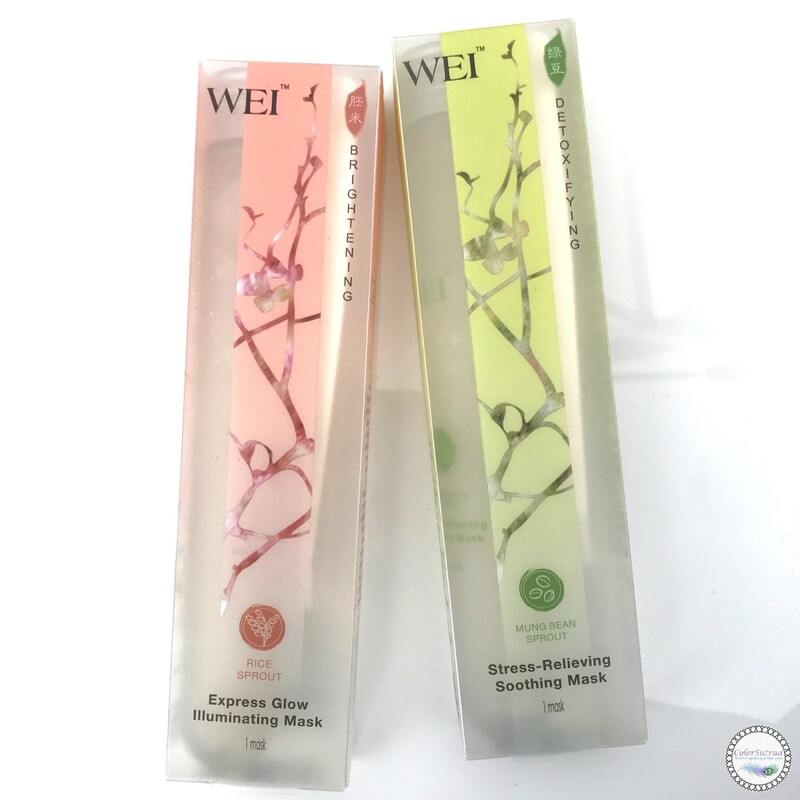 Wei captures the precise moment of life and presses the essential enzymes, nutrients and vitamins when they are most dynamic and concentrated. Mung Bean has been used for centuries in traditional Chinese medicine to help nurture the body while calming and cooling the skin. This purifying sheet mask floats in an essence of detoxifying Mung Bean Sprout to help to clear imbalanced or blemished skin. Mung Bean Sprout Stress Relieving Soothing Mask: A ten-minute application exfoliates dull skin and removes skin-damaging pollutants and impurities from pores while restoring healthy sebum levels for a calm, flawless complexion. Mung Bean Sprout offers powerful antioxidant and anti-inflammatory properties while supplying protein-rich moisture to the skin. Chinese Licorice Root helps heal skin ailments and blemishes. Cucumber extract soothes and hydrates. Rice Sprout Express Glow Illuminating Mask: This restorative sheet mask floats in a potent, nutrient-rich essence made from Rice at the point of germination. Following a 10-minute treatment, there is a visible reduction in appearance of dark spots; skin is invigorated, bright and glowing. Rich Rice Embryo contains proteins that help skin to retain moisture. Amino acids and flavonoids from Chinese Licorice work to improve skin's clarity and strengthen its resilience. Vitamin C defends the skin from free radicals, illuminates a dull complexion and works to slow the signs of aging. I love a good sheet mask and whenever I reach for one, it's usually one to calm my distressed skin or to enhance my skin's radiance. As you can tell, both these are perfect for me! Plus, you can't beat a 10 minute skincare treatment! 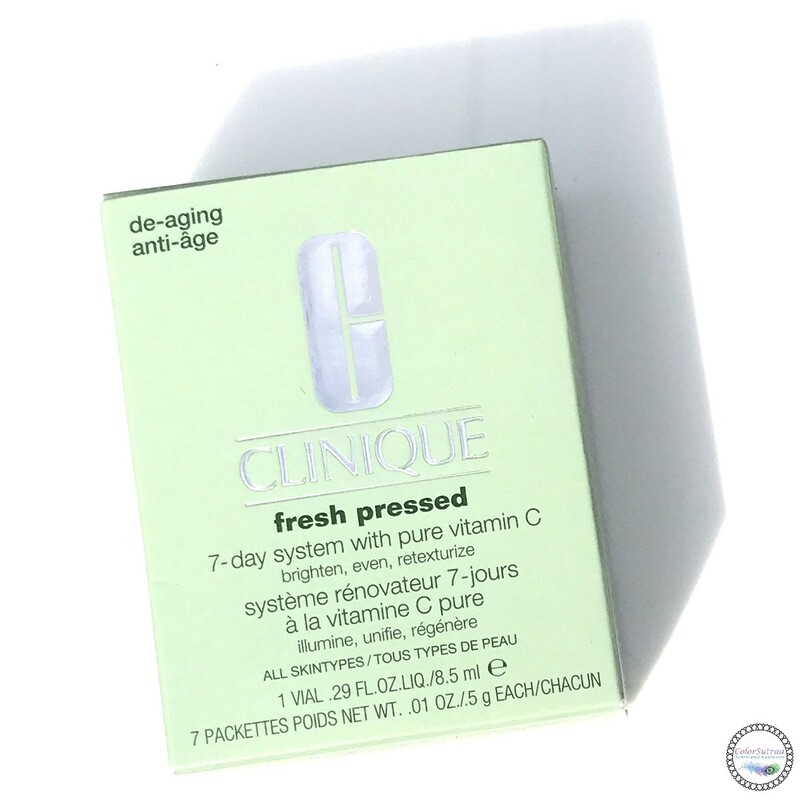 Recapture younger-looking skin with the de-aging power of fresh, potent Vitamin C. Refresh and renew with this 7-day de-aging system containing: seven single-use packettes of Renewing Powder Cleanser with Pure Vitamin C and a 7-day vial of Daily Booster with Pure Vitamin C 10%. Note: Fresh means powerful. Pure Vitamin C naturally degrades when exposed to oxygen, so it's most powerful when fresh. Stay-fresh packaging isolates the pure Vitamin C until activation, maintaining its freshness and full power for maximum results. Skincare with Vitamin C has proved to work so well for my skin and I can count on it to leave my skin glowing and radiant with regular use. I can see myself getting very hooked on this particular product! 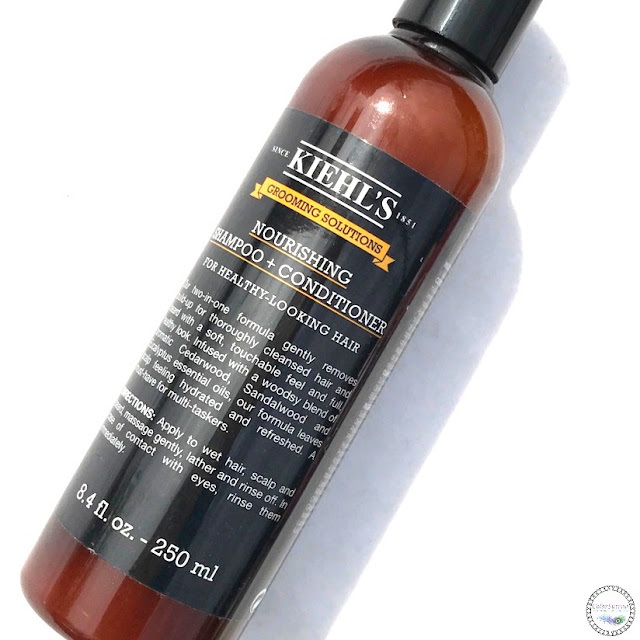 Kiehl's Since 1851's two-in-one formula gently removes buildup and hydrates the scalp for thoroughly cleansed hair with a soft, touchable feel and full, healthy-look. Infused with a woodsy blend of aromatic Cedarwood, Sandalwood and Eucalyptus essential oils, this formula leaves scalp refreshingly clean and flake-free. A must-have for multi-taskers. When you're busy as I am on most days, a multi-tasking hair care product that combines a shampoo AND conditioner can be a life-saver--just wash and go! I'm not a huge fan of the woodsy scent as I prefer my florals but if you like earthier scents, this one is worth a try! Phyto-Eye Twist is an all-in-one eye makeup solution: eye shadow + pencil + eyeliner. The "jumbo" tip blends and glides to color the eyelids, easily applying graphic makeup or drawing an XXL line. The skincare formula is enriched with plant-based active ingredients (Green Tea, White Lily and Camellia) and protects the delicate skin of the eyelids. The gliding, ultra-sensory, waterproof texture allows an ultra-easy application and a flawless hold all day long. Its magnetic shades enhance your look in a single twist and offer a multitude of finishes. Fun and practical, there is no need to sharpen this new zebra-look jumbo pencil. Metallics are so in for Fall and this is a perfect, neutral metallic if you're just getting into the trend. 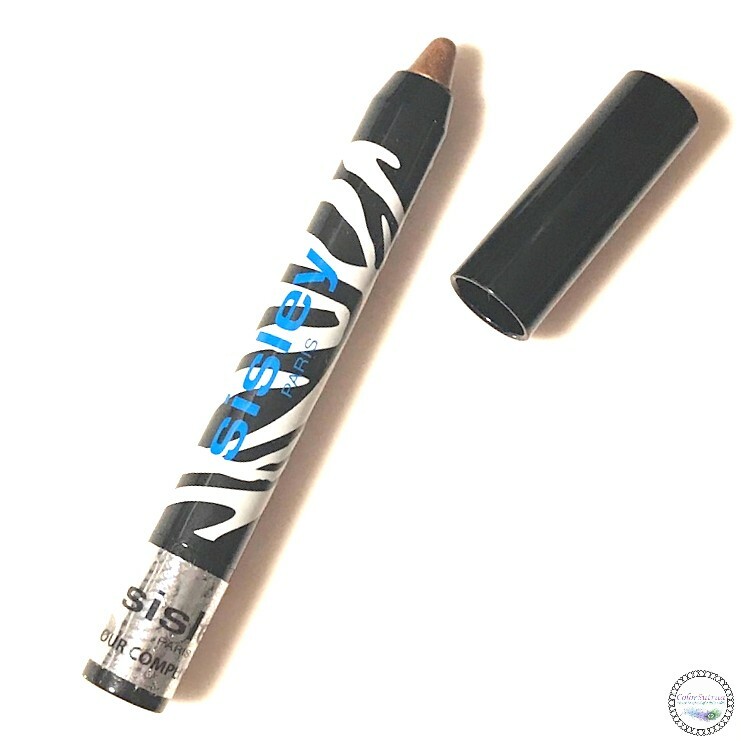 Packaged in a handy little crayon, it's the perfect little bit of waterproof, multi-tasking eye makeup for us ladies always on the go! Pricey, yes, but worth it if you are a minimalist who travels a lot! Mon Guerlain, the House's new fragrance, is a tribute to today's femininity—a strong, free and sensual femininity, inspired by Angelina Jolie. 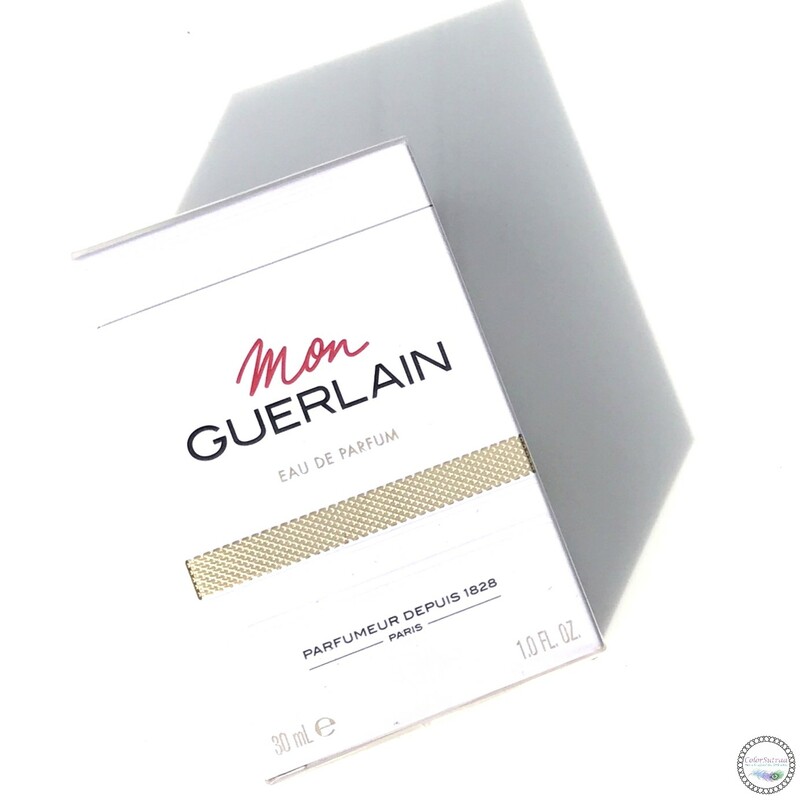 The mothership LOVES fragrances, particularly intense, rich ones with notes of bergamot and jasmine. This is the perfect gift for her! She's going to be thrilled! Celebrate the return of a brighter season with Bonbon Spring Summer, the sparkling Eau de Toilette. For the first time, caramel becomes as light as silk; Bonbon is transformed into a light Eau de Toilette enhanced with dazzling grapefruit, pink sugar and crystallized jasmine, reminiscent of a playful summer day full of pleasant surprises. Luxury at its finest, this fragrance is not only totally up my alley in terms of its scent profile but I'm also absolutely loving the beautiful, butterfly-shaped bottle. Can we talk about perfect timing for birthday month?! YAY! So there you have it, my darlings! You can pick up any of these products for yourself, or for a loved one, on Bloomingdale's site HERE. Best part? Bloomingdale's ships internationally to most countries around the world! If you pick up any of these products through the links here, I thank you for your support! Which of these luxury beauty finds caught your eye? Tell me in the comments section below! OMG I want that Sisley!!!! One day I will visit your country and immerse myself with the culture and festivity! This is such an amazing box. I am in awe of all the great brands. I'm glad you're still able to get them in India. Your holiday celebrations sound wonderful and like something you needed. This is a truly amazing box! Wow! This box looks great. Holy wow, this box is incredible! Glad you had so much fun at the festival.